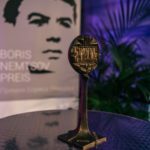 This report was realized with the support of the Boris Nemtsov Foundation for Freedom scholarship program. The basis of the report was the monitoring of political persecution in Russia for the period from July 1 to December 31, 2018. The most relevant events of the period. The most significant events of the first half of the year that influenced the repressive politics of the authorities were the World Cup, which took place in Russia, and the pension reform initiated by the Government of the Russian Federation, and later supported by the President. These events were closely linked. The upcoming of the age of retirement in Russia was announced on the day of the opening of the World Cup 2018 – June 14, 2018. Such a coincidence could hardly be accidental, that’s why the society opinion quickly formed the idea that pension reform was deliberately announced at this time in order to smooth out the negative effect of this initiative with the enthusiasm of holding a grandiose sports and entertainment event in Russia. Except for the purely psychological effect, which had to reduce the level of social tension caused by pension reform, the authorities obviously expected to use the World Cup to take restrictive measures that should ensure smooth implementation of pension reform. A legal framework was prepared in the form of Presidential Decree No. 202 “On the peculiarities of using enhanced security measures during the 2018 FIFA World Cup and the 2017 FIFA Confederations Cup in the Russian Federation”, which introduced enhanced security measures in the territory subjects “within which infrastructure objects are located, intended for holding the World Cup, as well as in the adjacent water areas”. This framework had to stop the possible social protests. The security measures provided for by this decree were supposed to complicate the holding of protest actions in the big cities where the World Cup was held. It had been possible. In some times the authorities repeatedly referred to the Presidential Decree N 202 then they wanted to reject a protest action or supress it. Preventing the protests, the authorities used non-legal methods of pressure. After the pension reform was announced, and it became clear that it caused a negative reaction from the society (the petition against the pension reform gained more than two million signatures), the media began to leak information that federal and local authorities strongly recommend journalists, political scientists and analysts speak positively about raising the retirement age, and in some cases completely abandon the references to “pension reform.” In the latter case, the use of the phrase “transformations in the pension system” was recommended. However, in a number of cases, officials directly pointed out the need for public support for pension reform or stopped the publication of critical articles in the media. For example, on July 17, it became known that editorial offices of district newspapers and other publications financed from the budget of the Penza Region were instructed to begin a series of publications supporting the upcoming pension reform on the example of old people leading an active lifestyle. 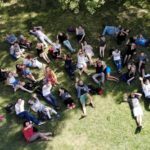 And on July 25 in the Stavropol Territory, the circulation of the newspaper “Gratitude” message was withdrawn from print, which contained a critical article entitled “ The goal: to live to retirement ”. Later, the circulation was released, but without this article. Nevertheless, despite all the efforts of the ruling apparatus, the increase in the retirement age was greeted in the society extremely negatively. The petition against pension reform, posted on the Internet, has gained more than two million signatures. And behind it began the protests, which were organized by completely different political forces: supporters of Alexei Navalny, the Communist Party of the Russian Federation, the Yabloko party, the Confederation of Labor of Russia, ordinary civil activists and even the Libertarian Party of Russia. On July 1, 2018 in dozens of Russian cities, were held demonstrations against raising the retirement age, which were organized by supporters of Alexey Navalny, trade unions, as well as the Communist Party, the Liberal Democratic Party, parties “Yabloko” and “Spravedlivaya Rossia”. Applications were filed in the cities in which the World Cup did not take place. In majority of the cities, the shares were agreed with the authorities. However, the most prominent protest actions against the pension reform were the Communist Party rallies coming one after another for two days (and in general – the left forces) and the Libertarian Party of Russia on July 28 and 29. The Left Front, led by Sergei Udaltsov, actively participated in organizing the first rally. Libertarian share was supported by Alexei Navalny. Both meetings were agreed by the authorities and were held in the center of Moscow – on Sakharov Avenue. During the libertarians rally, were arrested three of its organizers and participants: head of the “Libertarian Party”, Sergei Boyko, coordinator of the Moscow headquarters of Alexei Navalny Oleg Stepanov, as well as the presenter of the action Mikhail Chichkov. Together with them was detained the journalist of the publication “Sota.Vision » Ivan Egorov. In addition to these large rallies, other protests, including single pickets, were held in various regions of the country. However, in most cases, the authorities tried one way or another, to prevent the development of protests. One of the typical examples of obstructing protest activity is the refusal of the prefecture of the Central Administrative District of Moscow to agree on 33 pickets against the pension reform announced by the Yabloko party. During the summer of 2018, the authorities generally managed to avoid large-scale, truly massive protest actions against pension reform. A Presidential Decree No. 202 was a good excuse for refusing to hold protest actions, stopping them and detaining activists. However, with the onset of autumn, the situation has changed. The World Cup is over, and the euphoria from its holding dissolves as quickly as it appeared. Now, nothing prevented the citizens of Russia from seeing closely what was called pension reform and understanding the significance of this event. Accordingly, protest moods began to grow, which resulted in mass protests. In early September, several large actions against raising the retirement age took place at once. On September 2, an action of left forces (the Communist Party of the Russian Federation, the Left Front, etc.) took place on Academic Sakharov Avenue, which was attended by almost 9 thousand people. 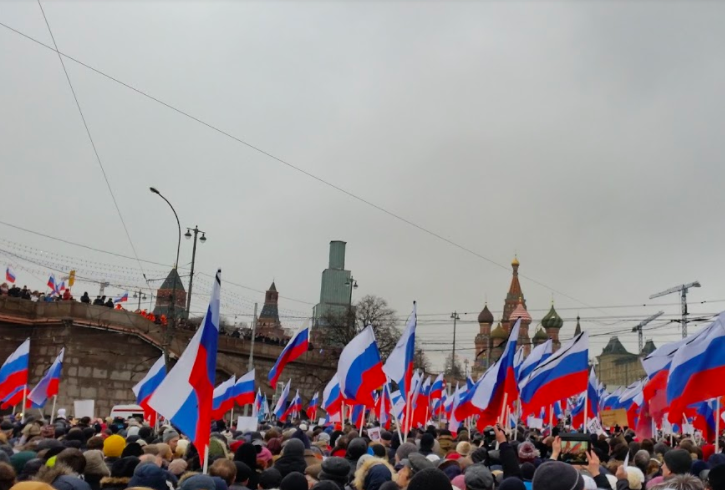 On the same day, in Moscow, Suvorovskaya Square held a rally “Fair Russia”, which was attended by representatives from Yabloko, Labor Russia and trade unions. On September 2nd, many Russian cities also hosted rallies of regional branches of the Communist Party of the Russian Federation against pension reform. For example, in Yekaterinburg and Lipetsk, activists held an action “Shameful Regiment” (similar to what was recently held in Komsomolsk-on-Amur) and walked around the city with portraits of the deputies of the United Russia which voted for the adoption of the law in the first reading. Political pressure against the masterminds, organizers and participants of protests against raising the retirement age began even before the actions themselves. The two main leaders of the protests, Alexei Navalny and Sergey Udaltsov, who announced the upcoming protests, were preventively detained on contrived grounds and sent under administrative arrest for 30 days for a period including the dates of the upcoming shares. Apparently, the authorities consciously decided to isolate the most dangerous leaders in order to weaken the organizational potential of the protesters during the September rally. The rally on September 9, organized by Alexei Navalny and his supporters, became the largest social protest in recent years. Actions against pension reform were held in dozens of Russian cities, and only in 12 they were agreed, and in 59 cities, actions were held without coordination with the authorities. In the face of tough opposition from the authorities, the scale of the rally predetermined the scale of the persecution of its participants. According to some data, during the dispersal of the action 1018 people were detained, most of all in St. Petersburg – about 452 participants of the action, among them children and pensioners. In Yekaterinburg were detained more than 183 people. In Krasnodar – 60 people, in Omsk and Moscow – 43 each. In total, participants of actions were detained in 33 cities of Russia. More information about the persecution of the Navalists after their action on the 9th of September is described in the corresponding section of this review. “Indefinite protest”, further called as “indefinite” arose spontaneously when some participants during the rally on the September 9th decided to stay on the streets and continue to protest against the “incompetent and corrupt government.” The basis of the “indefinite” was the youth, mostly schoolchildren and students. A termless protest began in September but did not stall with time, as is often the case with protest movements. It continued throughout the autumn and winter of 2018. This protest took place in dozens of cities, it has no leader or leaders, but it has its own website, its own community on Vkontakte and a channel on YouTube. On its website, the participants of the “indefinite” say: “We are ordinary people who are tired of waiting for a change. Tired of enduring arbitrariness and violence of the authorities. Disappointed with politicians who lie to us for their own benefit. No one except ourselves will make our lives better. For a great change, you have to believe in yourself and take the first step. We took it. Together, we went to peaceful, indefinite protests, and we will not leave the streets until we achieve our goal”. – the resignation of the government. From the very beginning of the “indefinite protest” it is being severely suppressed, dispersed by the police, and its participants are detained and subjected to administrative arrest. Already on September 10th, riot police detained several people who had launched the “indefinite protest” on Strastnoy Boulevard near the monument to Tvardovsky. Then there were detentions in Voronezh. Then there was the detention of a participant in Samara, who drew the word “indefinite” with chalk on asphalt and other cases. With the development of the “indefinite protest”, the pressure of its participants has intensified, which is described in detail in the section of this review on the persecution of activists of “indefinite”. On September 26th, the heads of Chechnya and Ingushetia, Ramzan Kadyrov and Yunus-Bek Yevkurov, signed an agreement on securing the administrative borders between the regions. It has not been clearly established since the collapse of the Chechen-Ingush ASSR in 1991. On October 4th this agreement was ratified by the parliaments of both republics. In accordance with the agreement, a part of the Nadterechny region of Ingushetia is transferred to Chechnya – mountainous and woodland. Chechnya, in turn, transfers to Ingushetia an equivalent territory on the border with the Malgobek district. This is supposedly an “equivalent exchange of non-residential areas”. The signing of this agreement led to unexpected consequences. To the population of Ingushetia, the exchange of territories seemed unfair, which led to the onset of spontaneous protests in Ingushetia, the largest in recent years. Already on September 26th, an unauthorized rally was held at the Alan Gate at the entrance to the capital of the republic – the city of Magas. The mayor of the city of Beslan Tsechoev and the leadership of the regional department of the Ministry of Internal Affairs came to the crowd. Employees of the Russian Guard and the police tried to reassure the participants, but people did not disperse and arrests with the use of batons begun. At a rally in Magas on September 29th, 13 people were detained, and on October 1st, activists blocked a section of the federal highway between the capital of Ingushetia, Magas and the city of Nazran. They left after a “conversation with well-known religious figures,” and traffic on the blocked section of the federal highway was completely restored. On October 4th a mass rally of opponents of ratification of the agreement was held in front of the Ingushetia parliament building, during which law enforcement agencies opened fire in the air. Later on, the protest in Ingushetia did not subside, having received a new impulse after the decision of the Constitutional Court of the Republic of Ingushetia, which recognized the disputed agreement as unconstitutional. Only the Constitutional Court of the Russian Federation, which took the side of the leadership of the Chechen Republic, has put a point in this confrontation. Nevertheless, the controversial agreement between Chechnya and Ingushetia led to large-scale protests, and those, in turn, to the strengthening of repressive policies in Ingushetia. In the autumn of 2018, two more events took place, setting a new vector of repressive policies in Russia. October 17th there was a massacre of students and teachers of the college in Kerch, committed by a student of the college. This crime carried out according to the model of the shooting at the American school “Columbine”, made the Russian power structures think about the possible causes of such events and how they can be prevented. It was suggested that thematic sites telling about similar crimes, groups in social networks devoted to suicide and even texts of popular rap artists containing suicidal motifs and “anti-social” appeals could push on such crimes of young people. On October 31, an explosion occurred in the FSB building in Arkhangelsk. An improvised explosive device exploded at the entrance to the FSB building at 8:52. A little earlier, at 8:48 in the telegram channel “Speeches rebel” there was a message left by the user “Valerian Pyanov”, who said that he takes responsibility for the upcoming terrorist attack. Motive of self-sabotage was a protest against the repressive activities of the FSB, which “fabricates cases and tortures people.” It is obvious that the sensational cases of “Network” and “New greatness” in which methods of provocation, the introduced staff of intelligence services and tortures of persons involved in these cases were meant. Immediately after the committing suicide bombing in the building of the FSB in the Arkhangelsk, the Investigative Committee of Russia opened a criminal case on the fact of the terrorist act (205 of the criminal code of Russian Federation) and illegal storage of ammunition (part 1 of article 222 of the criminal code). The Central office of the Investigative Committee of Russia (IC RF) took over the investigation of the case. Chairman of the IC RF Alexander Bastrykin instructed to establish the motives of the crime, to explore the circle of communication of the suspect, the relationship and the situation in his family. This assignment launched a chain of events that developed rapidly, capturing more and more people, including those who had nothing to do with the self-explosion in Arkhangelsk. As soon it was managed to establish, the young man, we committed self-explosion, was a young anarchist Mikhail Zhlobitsky. This fact determined the direction of the main blow of the repressive security services. The anarchists and anti-fascists were the first to come under attack, and they have begun to being mass checked and in some cases even attracted as possible accomplices of Zhlobitsky. Then the circle of potential “suspects” significantly expanded, involving representatives of other political spectrum, for example, libertarians in Arkhangelsk. By the end of the month, the state, concerned about the possible causes and motives of the terrorist attack in Arkhangelsk and the shooting at Kerch College, has taken the lead in the cultural sphere of society. Using an unclear way, the authorities established that the users of anarchist telegram channels listen to rap music performers, and the texts of musicians themselves provide suicidal and “anti-social” appealings. So the authorities began to prohibit and disrupt the concerts of Russian rap music singers. At the same time, both official bans on concerts and unofficial pressure on the management of the venues where the concerts were to be held were used. Using such tactics, the authorities were able to ban and disrupt several concerts at the end of November. 1) The law on administrative responsibility for involving minors in unauthorized protests. According to the new version of the law, article 20.2 of the Administrative Code of the Russian Federation is supplemented by part 1.1 — “involvement of a minor in unauthorized meetings, rallies, demonstrations, marches or pickets, if this action does not contain a criminal act.” For this offense, citizens face a fine of 30 to 50 thousand rubles, mandatory work for up to 100 hours or up to 15 days of arrest. Officials will penalize citizens for 50-100 thousand rubles, and legal entities — for 250-500 thousand rubles. 20 thousand rubles, or arrest for up to 15 days, or to require the 100 hours of compulsory work. For legal entities, there is a fine of 50 to 500 thousand rubles. Political oppressions in the second half-year of 2018 have been carried on in Russia in relation to most various groups of people. Partly repressions in this time period have been of inertial character – when the same groups of people as earlier have been gone after. These are, for instance, religious associations and groups, that have become due to some reasons political undesirable for the ruling authorities. It was in a daily routine manner that assumed extremist elements have been persecuted – the people persecuted on the ground of RF Criminal Code clauses connected to extremism (clauses 280, 282, 282.1, 282.2). Same as before, pressing have been put to Open Russia activists and Aleksey Navalny followers. Oppressions have also continued in relation to Ukrainians in Russia and Crimean Tatars in Crimea. Another part of repressions was of a clearly reactive character. In most cases these have been exercised as a response to protest actions. There is traced a direct connection of growing protest activity (even though small scale activities and moderate number of participants – as in the case of open-ended protests or local actions against pension reform) and responsive repressive activities of the state. Almost every protest activity of any scale was followed by negative consequences for its participants, including detention, penalties and administrative arrests. – “religious activists” – members of the religious associations that have been located by the state outside the law or that are being pressed by the state: Jehova’s Witnesses, Scientologists, Hizb ut-Tahrir Muslims and some other Muslims’ associations, Orthodox Christians that do not belong to the dominating in RF Russian Orthodox Church, Krishnaites, etc. Further worth mentioning that, depending on conditions, several set groups of repressed can eventually consolidate into one group. The “Navalnists”, “anarchists”, “open-ended protesters” and “Open Russia” activists can easily get consolidated into one group – participants of pension protests. And Jehova’s Witnesses or Muslims can be referred to “extremists”. Still, for the general convenience there is used the abovementioned classification. Within this review, the main trends of the repressive policy during the six months from July to December 2018 are shown, key half-year events that influenced the state’s attitude to certain targeted groups are identified and described, the main targeted groups of the population are listed and described, main repressive methods used in the pursuit of a particular group are described. The conclusion that can be drawn from the results of this study is disappointing. Repressions in Russia continue, and their number is becoming bigger and bigger. The methods used for political persecution are becoming more diverse and devious. The opening of administrative cases, criminal prosecution, threats, blackmail, pressure on relatives, operatives visiting the activists’ places of work or study, detention, assault and beating are also used. Citizens who disagree with the ruling regime and its policies are persecuted both individually and on the basis of belonging to a group that is recognized as an extremist, terrorist, or simply undesirable organization and is prohibited on the territory of Russia. Huge, heavy money fines and long periods of administrative arrest became the most powerful repressive instruments. As mentioned above, both of these punitive measures influence a person in the strongest way, knock him out of his usual rut, make him change his usual way of living, make a person choose between work or study and political activity. Combining everyday life with an active citizenship becomes almost impossible. Mainly, these measures (fines and arrests) are used against those political forces and their supporters who are busy with street protests. The most striking example is Alexei Navalny and his supporters. Having taken on themselves the main burden of organizing street protests, they inevitably became the main target for the massive use of huge fines and lengthy arrests. And this applies both to Navalny himself, who received lengthy arrests, and to his rank and file supporters who were fined and imprisoned in special detention centers throughout the country. Another target for the use of these repressive methods was the activists of Open Russia, many of whom participated in various protest rallies, including an action against pension reform, which took place on September 9 and became the largest in recent years. The most common legal excuses for repressing against the leaders and activists of “The Postcard” were articles of the Administrative Offenses Code directly related to the organization and holding of protests: Article 20.2. (“Violation of the established procedure for organizing or holding a meeting, rally, demonstration, procession or picketing”) and 19.3. (“Disobedience of the lawful order of a police officer, a soldier, an employee of the federal security service, an employee of state security agencies, an employee of bodies exercising federal state control (supervision) in the field of migration, or an employee of an organ or institution of the penitentiary system or an employee of the National Guard Forces of Russian Federation “). These articles are easy to use, because, generally, judges completely “trust law enforcement officers” and their testimony is not questioned. Accordingly, only the testimony of the police officers is enough to make the necessary decision.